"Single Window" extension monitors window opening and prevents any webpage from opening new popup windows. Instead moves the opened popup windows to browser tabs next to the active tab. The extension can be enabled or disabled from the toolbar button. You can place your mouse over the toolbar button to see the currently active state. Note that this extension does not prevent other extensions from opening local popup windows. So still local URLs with chrome-extension:// or moz-extension:// schemes can be opened. 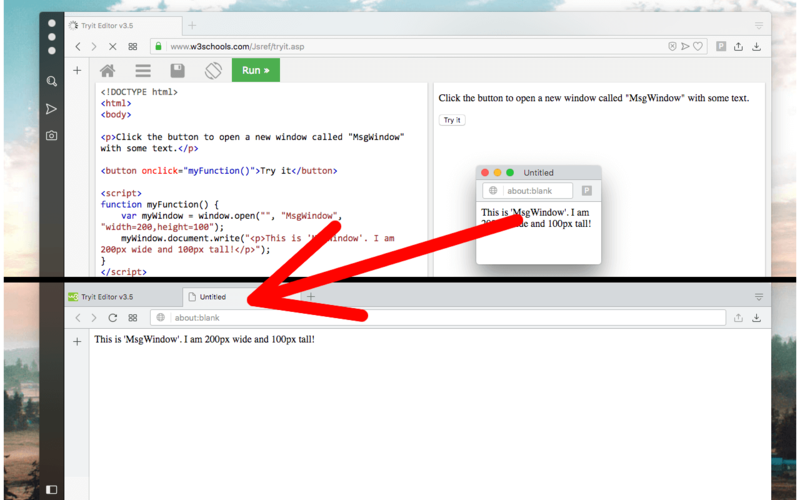 What is the "Single Window" extension and how does it work? This extension monitors tab opening and decides whether the newly opened tab is in the right place or not. After installation, the extension stores the current window id and when a new tab gets opened, its parent window is observed and being compared to the stored window id. If the tab is in a new window, the tab is moved to the current window instead. It is exactly similar to move a tab by dragging it into a new window. Note that this extension does not block tab opening that is originated from another extension. Basically, the extension only blocks http:// and https:// schemes or when a tab does not have a URL (about:blank). So if a popup window has chrome-extension:// or moz-extension schemes, the tab opening is not going to be interrupted. Also not that this extension does not prevent web pages from opening popup windows. It just moves the popup window from a new parent to the old window. So you may see a popup window gets opened for a few seconds until it is moved to the old window. Although the extension works fine, I would like to allow a single popup window. How can I achieve this? When the extension is installed, a button is placed in the toolbar area. Click the button once to disable the single mode state. You can click one more time to re-enabled the single mode state. Note that the enable state is persistent across browser restarts.